Do you love Chronicles of Nannya and want to write a glowing review? Do you have a suggestion for how to make the show better? 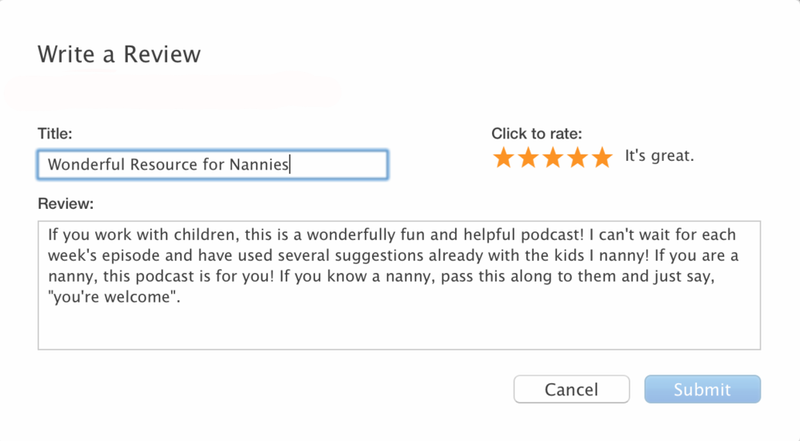 Writing a review on iTunes is the best way to help us grow as a podcast and it's completely free! If you've never reviewed a podcast before, there's a step by step guide. We've used Chronicles of Nannya as the example here, but these steps can be applied to most podcasts. 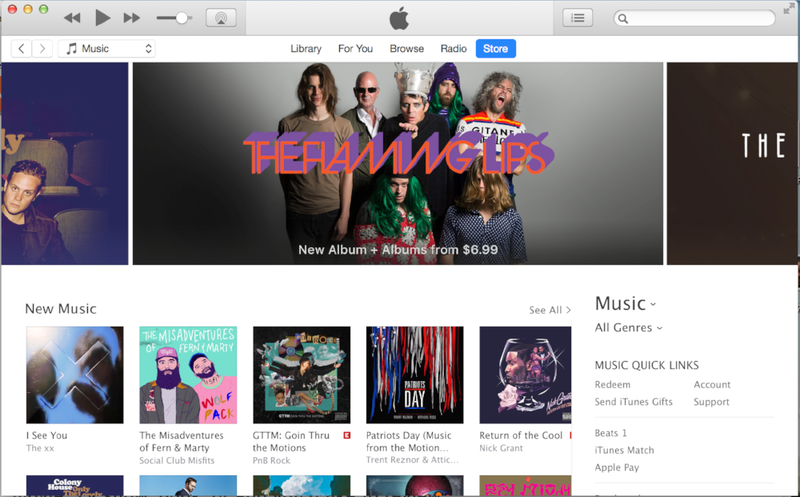 Open up the iTunes Store. If you've already listened or subscribed to the show, you may need to click on the word "Store" to end up in the right place. In the search box, type in the name of the podcast, show, movie, TV show, book, or app you'd like to review. If you're not signed into iTunes, you will be prompted to sign in. Reviews are limited to 300 words. Apple does not edit reviews, so triple check your spelling and grammar before submitting them. Avoid the following things: Single-word reviews, Bad language, Contact information (email addresses, phone numbers, etc. ), URLs, Time-sensitive material, Alternative ordering information, Comments about non-product related issues such as service and support, resellers, shipping, sales policies, other Apple partners or Apple topics not directly related to the product's features or functionality. Hit "Submit". Note that you probably won't see your review appear right away. According to Apple, "Your review might need to be approved before it's published, so it might not appear immediately." Step 1 - Launch Apple's Podcast app. Step 2 - Tap the Search tab. Step 4 - Tap the blue Search key at the bottom right. Step 5 - Tap the album art for the podcast. Step 6 - Tap the Reviews tab and tap Write a Review at the bottom. 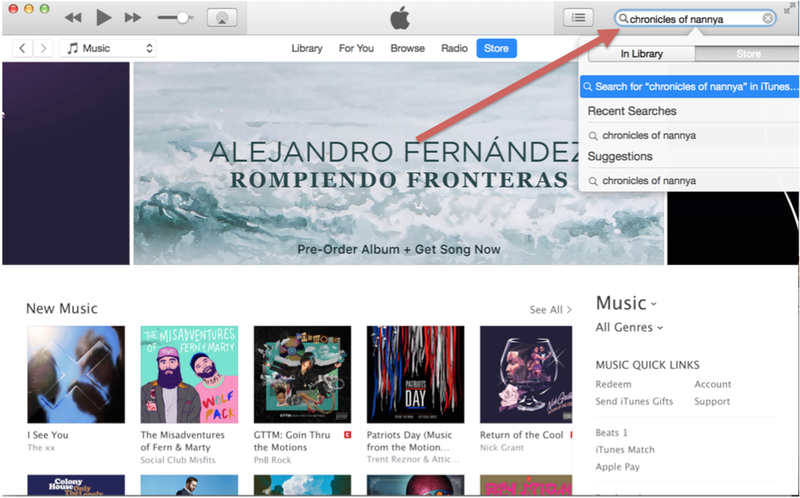 Step 7 - Enter your iTunes password to login. Tap the Stars to leave a rating. Enter title text and content to leave a review. Tap Send.